One of the most lucrative things Amazon Drive offered was an unlimited cloud storage plan for as low as $60 (roughly Rs. 3,800) per year. However, the company has now revised its plans to cancel unlimited storage abilities, and instead offer just 1TB for the same amount. The maximum cap of storage capacity is up to 30TB now with additional $60 levied per TB – which goes to a neat $1,800 (roughly Rs. 1,15,700) for 30TB. Essentially, Amazon Drive has aped Apple iCloud’s pricing and is offering the same as the Cupertino giant per terabyte. Just a few days ago, Apple revised its 2TB plan to $120 (roughly Rs. 7,700) per year, the pricing that earlier applied to 1TB. Beyond 2TB though, Amazon is still the cheapest of the lot, with Google Drive charging as much as $3,600 (roughly Rs. 231,400) per year for 30TB. Amazon notes that all Prime members will still get the benefit of unlimited photo storage (keyword photo), and all new Drive members will get up to 5GB of storage space free (again just like Apple, however Google Drive leads the lot with 15GB of free drive storage). The starting plan is at $12 (roughly Rs. 800) for one year for 100GB of storage. There is no 50GB and 200GB plan like how Apple offers. You can check all the new pricing for Amazon Drive here. Amazon notes that current Drive customers will keep their existing unlimited storage plan through its expiration date. At the end of their existing subscription, customers with auto-renew turned on and 1TB or less of data stored will be renewed into the 1TB plan for $60 per year. Customers with auto-renew off, or who have more than 1TB of data stored, will need to visit their account’s Manage Storage page to opt in to one of the new plans. If you want to run a mobile business, you need mobile specific tools like a smartphone and a cloud management platform. This week, small businesses got a few new options. First, Verizon called a new LG smartphone perfect for content creators. And Staples launched a new cloud management and records storage solution. You can read about these new services along with more small business headlines in this week’s Small Business Trends news and information roundup. 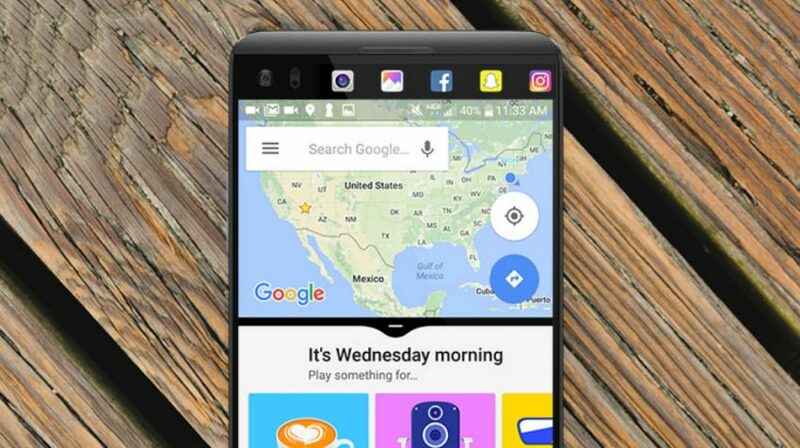 The V20 from LG (KRX:066570) was announced in August, and it is now available online from Verizon (NYSE:VZ) targeting content creators. Today’s smartphones are more than just phones, and manufacturers are addressing different segments with a range of models. Small businesses looking for record storage or cloud management services just got another option from a familiar source. Staples (NASDAQ:SPLS) is partnering with GRM, a leading provider of information management solutions, to offer these services under the Staples brand. Staples Records and Cloud Management offers a range of specific services that businesses of all sizes can choose from. If the upgrade of Paint to 3D by Microsoft (NASDAQ:MSFT) works, this might be what catapults the technology for mass adoption. For over 30 years the Paint app has remained popular because it is easy to use, and thankfully Microsoft hasn’t forgotten that. According to the company, it will be just as easy to capture, create and share in 3D with the revamped app. If you use Office 365 on GoDaddy (NYSE:GDDY), a new service will protect your email with an encryption and archiving service. The increase in security by GoDaddy and others in the tech industry highlights the threat landscape in the digital environment, which is very high. 3 MacBook Pros Focus On Productivity — But Are They For Business? The revamped MacBook Pro line of laptops has arrived with 13 and 15-inch models almost four years after the last noteworthy upgrade. And this time around there are more changes, both inside and outside. A Look at the New 2016 MacBook Pros Externally, they are smaller with the 13-inch coming in at 14.9 mm thick and 3 lbs, while the 15-inch is slightly bigger at 4 lbs and 15.4 mm. Coined the ultimate laptop by Microsoft (NASDAQ:MSFT), the new Surface Book i7 packs a punch, in terms of performance and the bruising your wallet will take. The announcement of the new i7 comes just as Microsoft released Surface Studio, another bruiser that is squarely aimed at taking on Apple’s stronghold among creative users. Riding high on booming ecommerce in the U.S., UPS (NYSE:UPS) has posted a profitable third quarter. UPS 3rd Quarter 2016 Results Domestic Shipments Drive Growth In the third quarter, international operating profit went up 14 percent to $576 million, achieving the seventh consecutive quarter of double-digit growth. 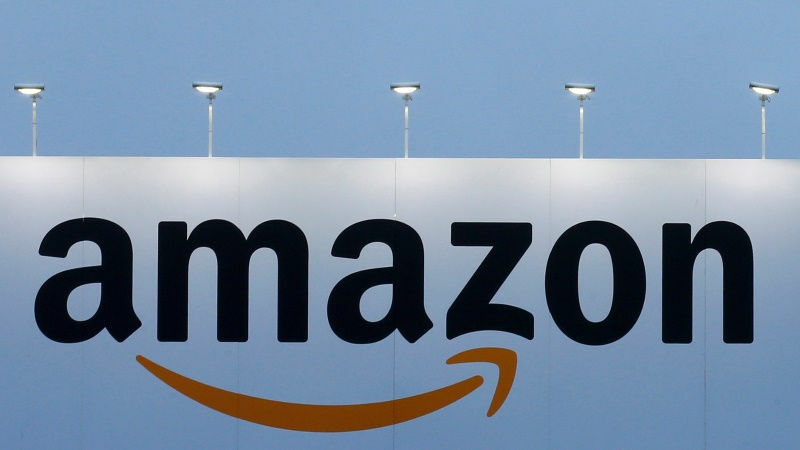 What’s more, average daily package volume grew 5.7 percent in the U.S.
Amazon’s (NASDAQ:AMZN) third quarter results are out. This quarter, the company posted $32.7 billion in revenue in the third quarter, up 29 percent. Q3 2016 Amazon Results Key Highlights Among highlights shared by the online retail giant, some are especially significant for small businesses. Small businesses are accounting for a smaller fraction of new technology creation than they used to, at least according data from the U.S. Patent and Trademark Office (USPTO). That trend has many policy makers and pundits concerned that our innovation system is handicapping small business. While that explanation is possible, I think a more basic story accounts for the trend. Hispanic-owned businesses are on a roll, reveals a new study. According to the Biz2Credit Hispanic Small Business Credit Study, Hispanic-owned companies had average annual revenues of $202,327 in 2016, up from $68,540 the previous year. The number of loan applications by Latino entrepreneurs made through Biz2Credit.com grew by 68.7 percent in the past 12 months. Open enrollment for individuals and families wanting to apply for health insurance through Obamacare starts today. Depending on where you live, you can either go to Healthcare.gov or your state’s healthcare exchange website. Self-employed businesses and solopreneurs with no employees should also use this option. If you want your business to be successful, you need to hire the best team possible. But the reality for small businesses is that it’s not always possible to spend as much on hiring as large companies. That doesn’t mean that you have to settle when it comes to your team though. Starbucks (NASDAQ:SBUX) is in hot water (er – coffee?) again over a special cup design. The design features a variety of different people sketched all over the cup. The cup is green with a white circle in the middle where the Starbucks logo would normally go. The company has said that the design is supposed to represent unity. Whether you own a retail store, beauty salon, restaurant, housecleaning service or other local business, gift cards can be a great way to spark new holiday sales. Gift cards aren’t just for big, national chains anymore; in fact, a new study reports, half of U.S. consumers are very open to buying gift cards from small, independent retailers. Hundreds of people who purchased hair care products from Wen by Chaz Dean got a little more (or less) than they bargained for. According to a class action lawsuit against the company and direct marketing company Guthy-Renker, 200 women from 40 different states have reported hair loss, scalp irritation and rashes after using the products. People are spending more money on Halloween this year than they ever have before. And you might have Hillary Clinton and Donald Trump to thank for that. Before this year, 2012 held the record for highest amount spent on Halloween. And there was even an uptick in 2008 even though the country was in the middle of a recession. If you have an active lifestyle, traditional fashion brands might not provide enough durability when it comes to clothing and accessories. But Aulta is different. The company, which was founded by three friends who love to surf, makes watches for surfers and others who have active lifestyles. Read more about the company in this week’s Small Business Spotlight. The email hacks — not the other email problem — impacting this year’s Presidential election should be a stern warning to any small business owner. Cyber attacks are on the rise and you don’t have to be the campaign chair of a Presidential candidate to be a target. In fact, if you’re a small business owner, you’re more likely to be targeted. There are many small businesses that specialize in creating content for websites, and when Airstory becomes available by the end of the month, it could make it much easier to do so. Airstory is a collaborative cloud-based content creation platform for planning, writing, editing and kicking ideas around with your team. It works no matter where they are or what device you are using. The United States government agency responsible for supporting entrepreneurs has been accused of short-changing small business owners out of $2 trillion in federal contracts over the last ten years. Intuit Inc. (NASDAQ: INTU), QuickBooks’ parent company, has announced that QuickBooks users will soon be able to send an electronic invoice from Intuit QuickBooks Online and seamlessly accept payment from their customers through PayPal (NASDAQ:PYPL). Yep, now small businesses can accept PayPal payments through QuickBooks. The year 2017 may seem like a long time from now, but it will be here before you know it. There are some important changes impacting businesses required to file certain information returns. The sooner you gear up for this tax responsibility, the easier your filing responsibilities will be. Microsoft Corp has thought up another way to attract potential customers to its cloud computing service: deterrent against patent trolls. Companies new to the cloud are vulnerable to non-practicing entities, which do not make any products themselves but use their arsenal of broad technology patents to sue other firms in order to extract royalties or a cash settlement. The new offering could appeal to companies new to the cloud arena, needing a service such as Microsoft’s Azure to store their data or host their mobile app. It was not clear that it alone would be enough to draw customers away from the market leader, Amazon.com Inc’s Amazon Web Services. Under a plan unveiled on Wednesday, Microsoft said customers of its cloud service could rely on any of 10,000 Microsoft patents free of charge to deter legal threats against them. 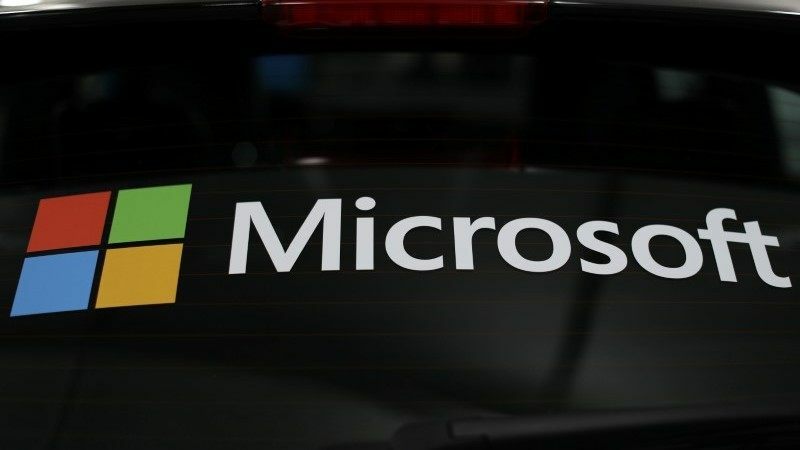 The Redmond, Washington-based company also said it would extend its existing promise to defend any customers sued over Azure to include the freely available or ‘open source’ technology incorporated into its cloud service. The protection is designed to appeal to an automaker, for instance, which may have car-related patents but has no such cover for its mobile apps and other cloud-based products, making it a target.